Sebastiaan Princen is Professor of Governance and Policymaking in the European Union at Utrecht University's School of Governance. Since 2010 he is also a fellow at the Montesquieu Institute in The Hague. Sebastiaan teaches courses on policy processes, public law, policy implementation, and European integration in USG’s bachelor’s, master’s and executive programmes. His research focuses on issues of international and European governance, more specifically policy-making in the European Union. In recent years he has published extensively on processes of agenda-setting in the EU. 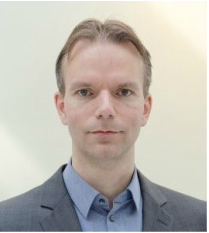 In addition, Sebastiaan has participated in studies on the Europeanisation of the Dutch civil service, the role of interest groups in the EU, and cross-border cooperation between local governments. You can find more information about Sebastiaan's research here.